My Soccer Blog: Houston gets young Argentine striker, is a stadium next? Houston gets young Argentine striker, is a stadium next? The biggest concern for Houston this off-season has been the lack of forwards in the squad, but it looks like that is about to change. The team is expected to soon announce the signing of Franco Caraccio from the Argentine Primera División's Arsenal de Sarandi. Caraccio appears to be just the type of player Houston coach Dominic Kinnear loves to work with as he has talent but it needs to be developed. Caraccio has played on Argentina's under-20 national team, but was mostly a reservist for his club, meaning his experience level is limited making this a bit of a risk for the Dynamo. However, at just 21-years of age, it is a risk worth taking. Instead of going after a known 30+ year-old, Kinnear has opted to go for youth. Caraccio will have a fantastic opportunity to showcase himself as the speeder striker along side Brian Ching. Combine this with the attacking styles of Stuart Holden and Dwayne De Rosario and the Dynamo again look great up top. It also appears to be a double win for the club as it looks like they will get him on a free transfer and that he will sign a four-year deal at about $70,000 a year, meaning they should have some money left over for another player. It is amazing how many things just keep going Houston's way on the pitch and it looks like another might be about to happen off the pitch. 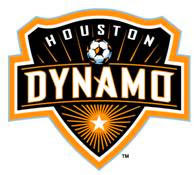 During the whole Houston soccer stadium debate, the mayor has insisted that no property tax revenues would be used to build a home for the Dynamo, however it now appears he is open to using other city monies. "I'm not saying we won't provide any public funds," White said. "What I am saying is we won't use funds that could be used for providing for essential city services, such as solid waste and parks and libraries and things like that, public safety." White said if public funds were used, they will not come out of the city's general fund or involve new taxes. The mayor discussed a scenario that would involve property taxes collected by a Tax Increment Reinvestment Zone, a special district in which rising property tax revenues are funneled back into the zone for infrastructure improvements to attract further development. Some of the TIRZ monies could be used to reimburse the city for the land purchase, or possibly for a small portion of the stadium itself, White said. To sum up, it looks like the mayor is willing to spend some city money to get this deal down. Yet another example of how much Houston wants a stadium downtown. But the always great Bernardo Fallas points out another sign this move seems to point towards, as it could mean the sale of the team to the 'De La Hoya/Brener people' is almost done. Could it be that the next couple weeks will see the Dynamo get new owners and a stadium deal? They should be so lucky. MLS Expansion - "It's definitely Philly"